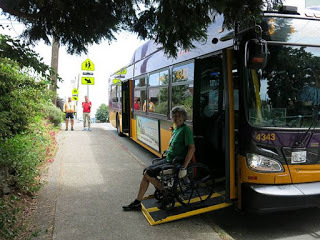 The SR-520 and the Montlake Bridge area is one of Seattle’s key geographic chokepoints for walking and biking. The $1.64 billion SR-520 highway project will be set in concrete for the next eighty years. It must work. 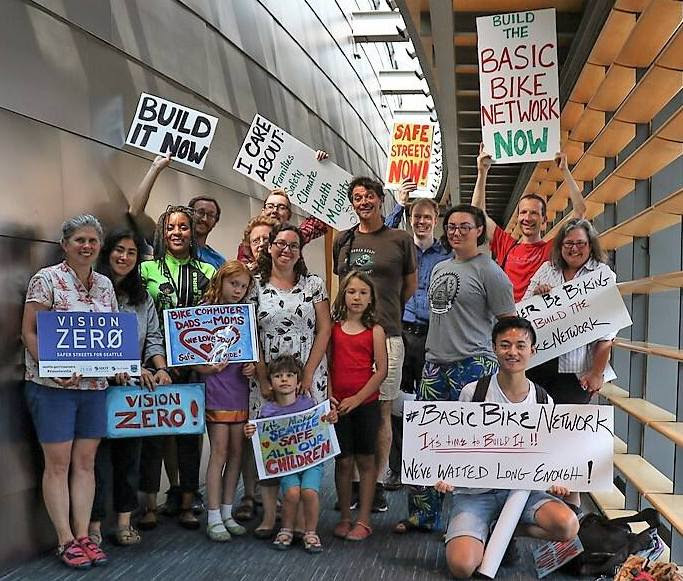 The Seattle City Council has released a draft resolution outlining the City’s official position on how to improve the design. 1. Single lane on-ramps and raised crosswalks at the Montlake interchange so that people can safely walk across. 2. 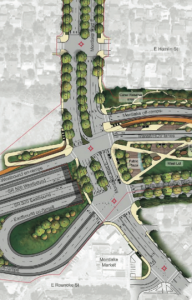 Protected bike lanes on Montlake Blvd to allow people to safely bike through the interchange. 3. 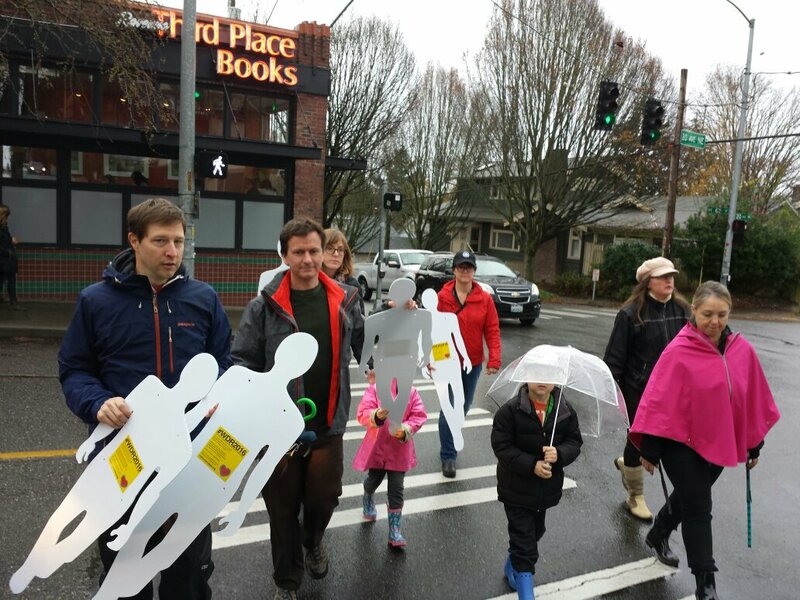 A neighborhood greenway along the Lake Washington Loop paid for by WSDOT, to provide a key link in the non-motorized system, and protect the neighborhood’s quality of life by mitigating cut-through traffic. 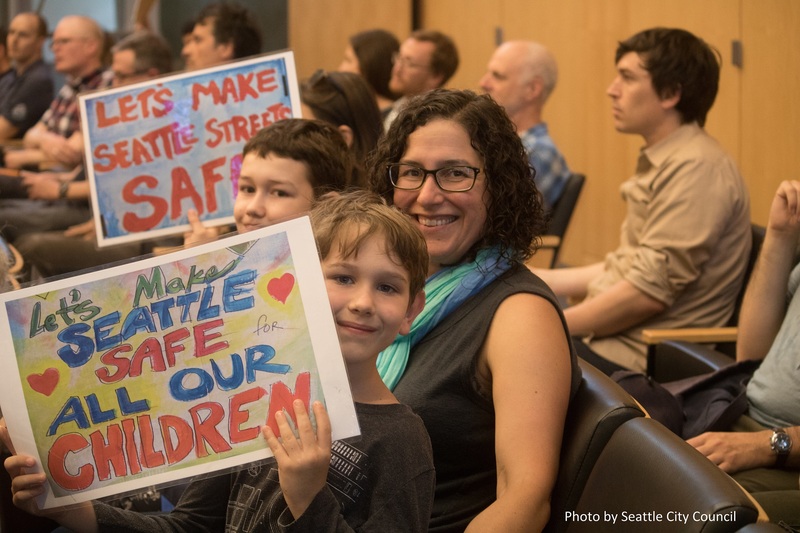 Show up and tell the Seattle City Council we need to get this right at a public hearing at the University Christian Church at 4731 15th Ave. NE, on Wednesday Sept. 16 at 5:30 p.m. 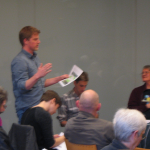 While in person testimony is an order of magnitude more impactful, if you can’t make the meeting, you can email, or better yet call, the City Council Transportation Committee Chair Tom Rasmussen directly at 206-684-8808 or tom.rasmussen@seattle.gov. 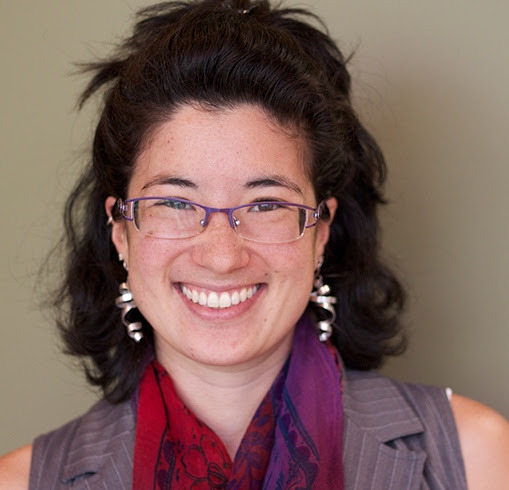 Small fixes can mean big wins! 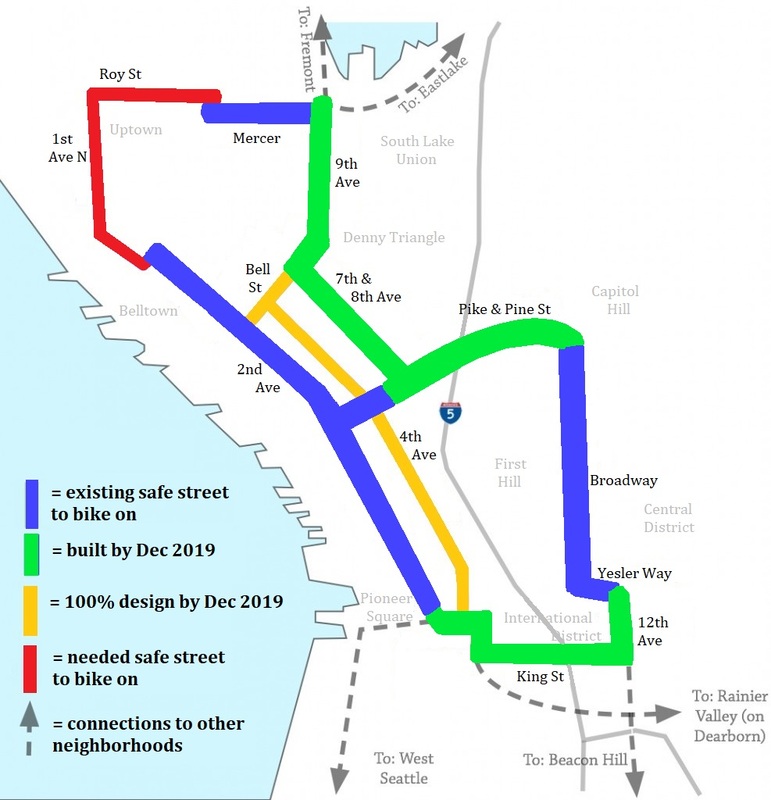 Seattle Department of Transportation (SDOT) just added a new, safer connection across Leary Way near the 6th Ave NW corridor. 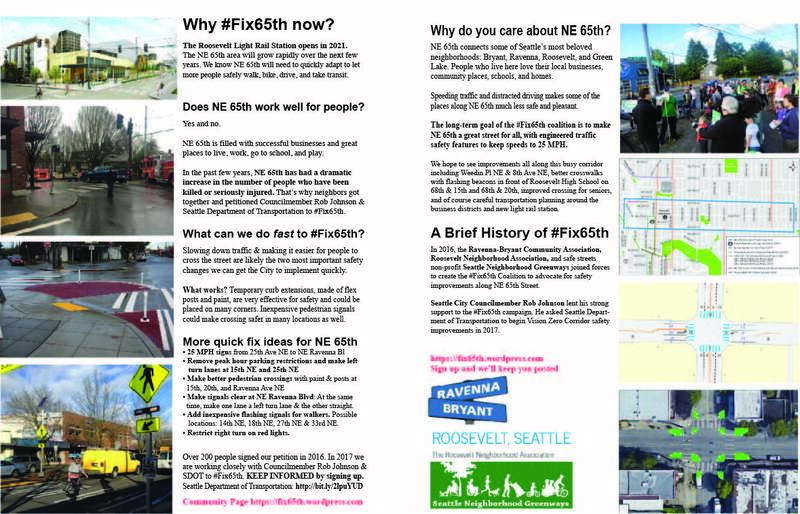 Connecting 6th Ave NW to the Burke Gilman Trail and to the existing Ballard Greenway is the top priority for Greenways groups in City Council District 6 that covers Fremont and Ballard. 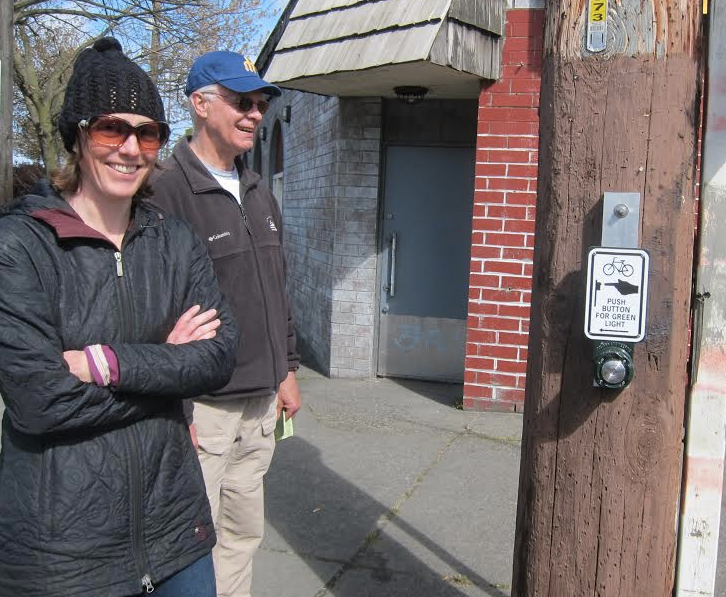 The push-button signal for people on bikes is placed near popular destinations including Hale’s Ales Brewery, Fred Meyer, and the Burke Gilman Trail. 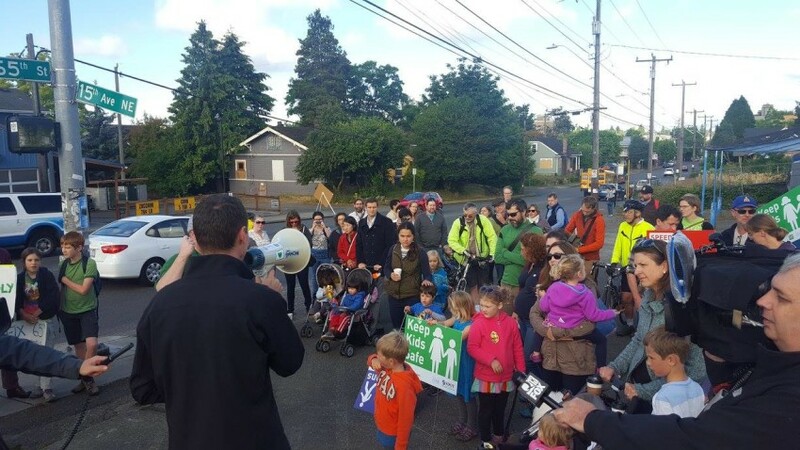 The new push button will help families going to the proposed 6th Ave NW Safe Route to Schools corridor connecting Pacific Crest Elementary, West Woodland Elementary, and Greenwood Elementary Schools, say Ballard Greenways advocates. 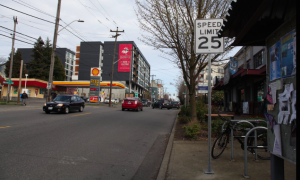 The project for signs and signal changes was funded by a Neighborhood Park and Street Fund application submitted in 2014 by Fremont Greenways. Thank you!